From focus groups to local photoshoots, I was able to experience and then integrate the culture into an authentic advertising campaign. 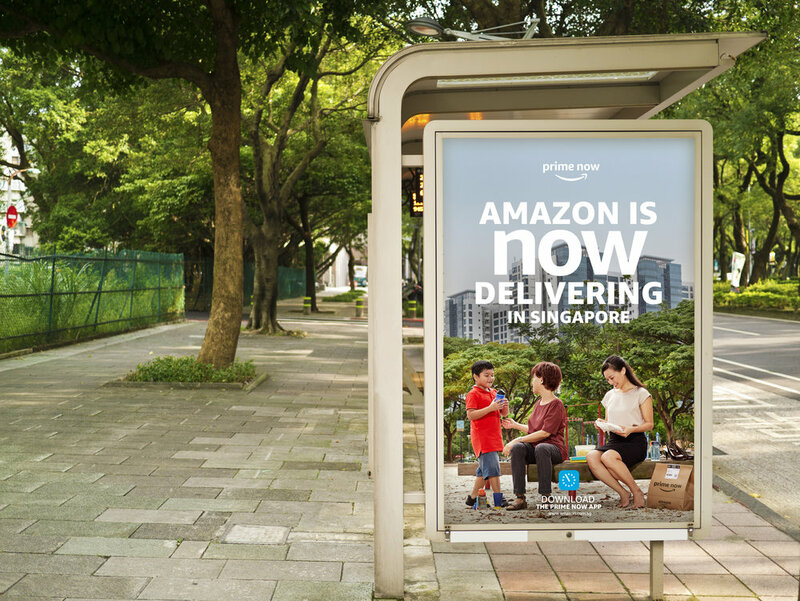 In the smiles of the families, we showed Singapore what Prime Now really delivers. 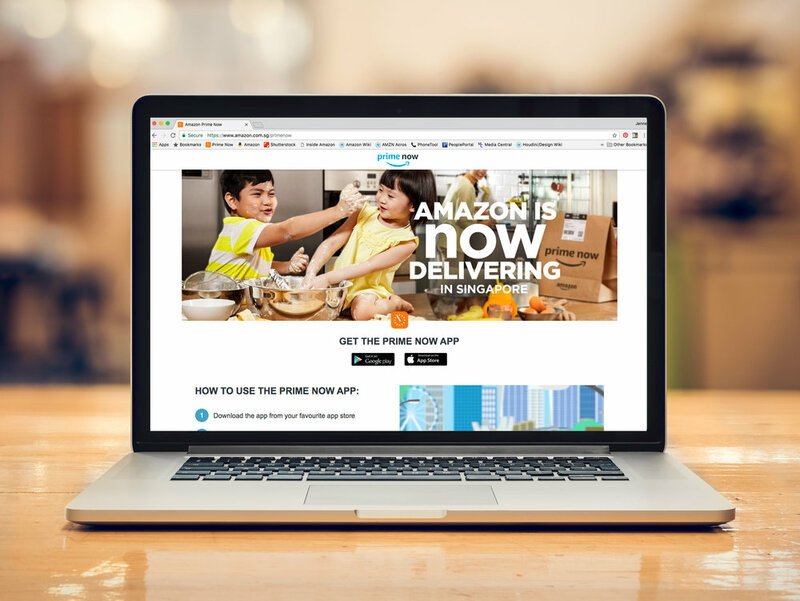 To note: Singapore is NOW the first country in southeast Asia to have an Amazon retail. The response was overwhelming, making the launch a huge success. 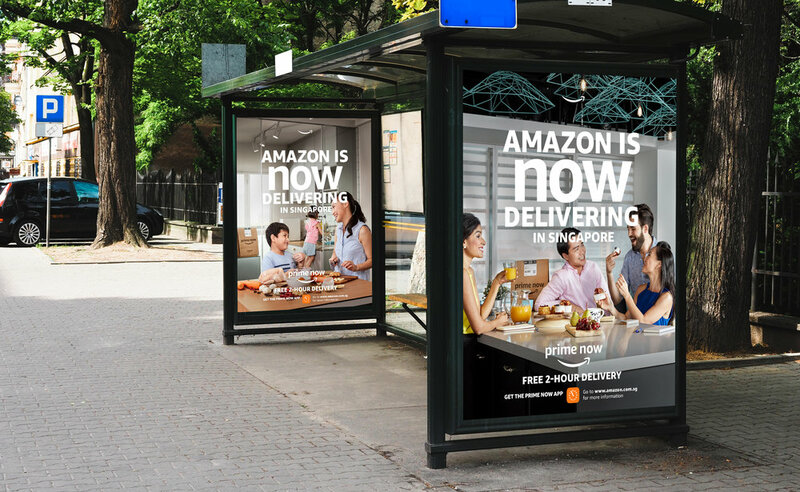 During the first week, Prime Now was the #1 downloaded free app in Singapore. It was also the most successful launch in Prime Now's history, with over 2.4k orders in the first 24 hours. Also a first for Amazon was announcing the launch of a new country using editorial photography instead of the “standard” country flag. Social media was buzzing about how Amazon did their homework and ultimately resonated with the locals. 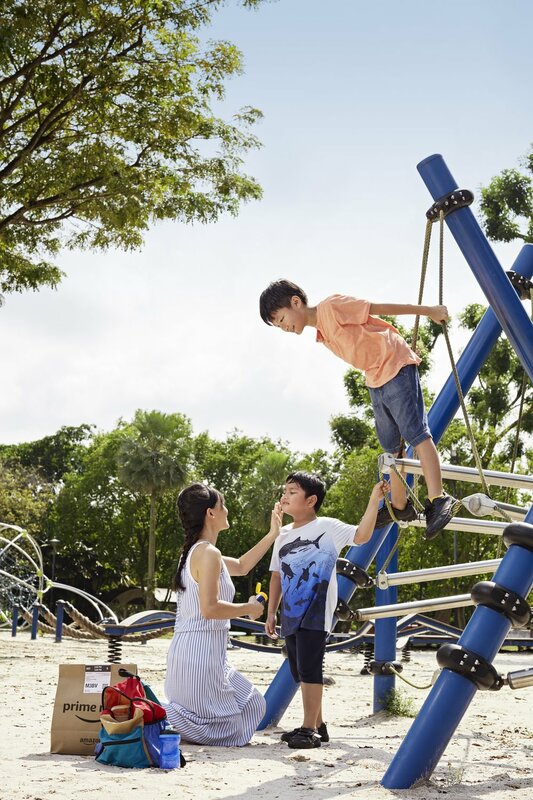 | Images used for each campaign placement; shot locally in Singapore to be 100% authentic and resonate with the locals who will benefit from this service.